John Elderfield, chief curator emeritus of painting and sculpture at the Museum of Modern Art, New York. Mary Morton, curator and head of the department of French paintings at the National Gallery of Art, Washington. Xavier Rey, director of the museums of Marseille. Also included are a biographical essay on Cézanne’s sitters by biographer Alex Danchev and a chronology of the artist’s life by Jayne Warman. This catalog establishes portraiture as an essential practice for Cézanne, from his earliest self-portraits in the 1860s to his famous depictions of figures including his wife Hortense Fiquet, the writer Émile Zola, and the art dealer Ambroise Vollard, and concluding with a poignant series of portraits of his gardener Vallier, made shortly before Cézanne’s death. 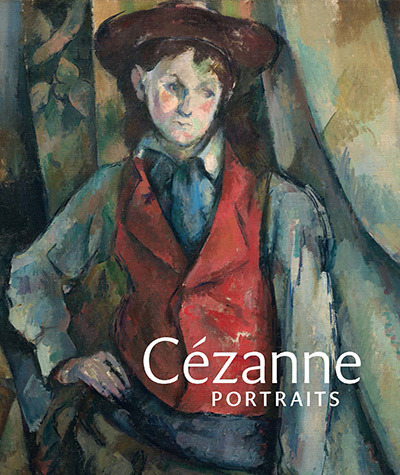 Featured essays explore the special pictorial and thematic characteristics of Cézanne’s portraits and address the artist’s creation of complementary pairs and multiple versions of the same subject, as well as the role of self-portraiture for Cézanne. They investigate the chronological evolution of his portrait work, with an examination of the changes that occurred within his artistic style and method, and in his understanding of resemblance and identity. They also consider the extent to which particular sitters influenced the characteristics and development of Cézanne’s practice. Beautifully illustrated with works of art drawn from public and private collections around the world, Cézanne Portraits presents an astonishingly broad range of images that reveals the most personal and human qualities of this remarkable artist.